Hall of Fame baseball player for the Detroit Tigers. Played right out of High School. This section is to remember Southern High Baltimore, MD alumni who have passed away. The Southern HS alumni site is made so that students and teachers from the Baltimore high school can reconnect with those that they met while attending high school. 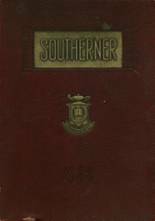 Don't forget to upload your Southern High School pictures and check on the latest info about any Southern High School reunion. 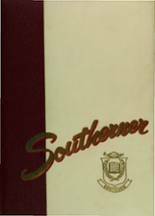 While you are reminiscing about the times you spent in high school at Southern High School, you should also check out alumni photos, yearbook listings and share any reunion info if possible. Favid Marazas has someone searching for them. James Wood has someone searching for them. Jack Mcfarlan has someone searching for them. Shamika Jones has someone searching for them. Patricia Runk Kerner updated their profile picture. Patricia Runk Kerner registered as a SHS Class of 1968 alumni. Patricia Runk Kerner added photos to their personal photo gallery. Terry Moore registered as a SHS Class of 1972 alumni. Terry Moore updated her profile picture. Terry Moore added photos to their personal photo gallery. Janis Carter Carter Bealefeld added photos to their personal photo gallery. Janis Carter Carter Bealefeld updated her profile picture. Janis Carter Carter Bealefeld registered as a SHS Class of 1966 alumni. Terri Koch De Witt registered as a SHS Class of 1974 alumni. Terri Koch De Witt added photos to their personal photo gallery. Terri Koch De Witt updated their profile picture. Linda Hammons Mullin requested a SHS yearbook from 1988. 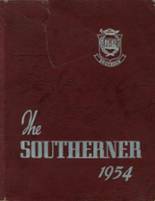 Linda Hammons Mullin requested a SHS yearbook from 1968. Adrienne Niece Of Joe Barnes (deceased) HornatkoMunoz offered a SHS yearbook from 1968. Someone visited Adrienne Niece Of Joe Barnes (deceased) HornatkoMunoz's profile. Ken Purdy updated his profile picture. Ken Purdy registered as a SHS Class of 1976 alumni. Ken Purdy added photos to their personal photo gallery. Gary Richardson updated his profile picture. Gary Richardson added photos to their personal photo gallery. Gary Richardson registered as a SHS Class of 1988 alumni.